One doesn't tend to have high expectations in a fruit jelly. They can be tasty, but rarely something super special or compelling. 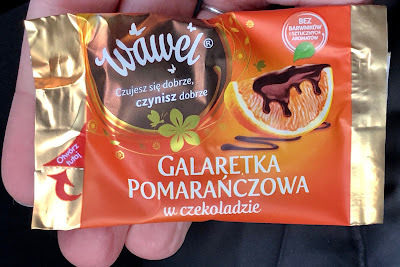 But behold, Wawel's Galaretka Pomaranczowa w czekoladzie (Orange Jelly with Chocolate) is one of those rare fruit jellies that soars above the rest. What I love is that the natural bitter of orange / orange peel is allowed into the jelly along with the sweet orange juice. It tastes like a real orange, trapped in jelly form. 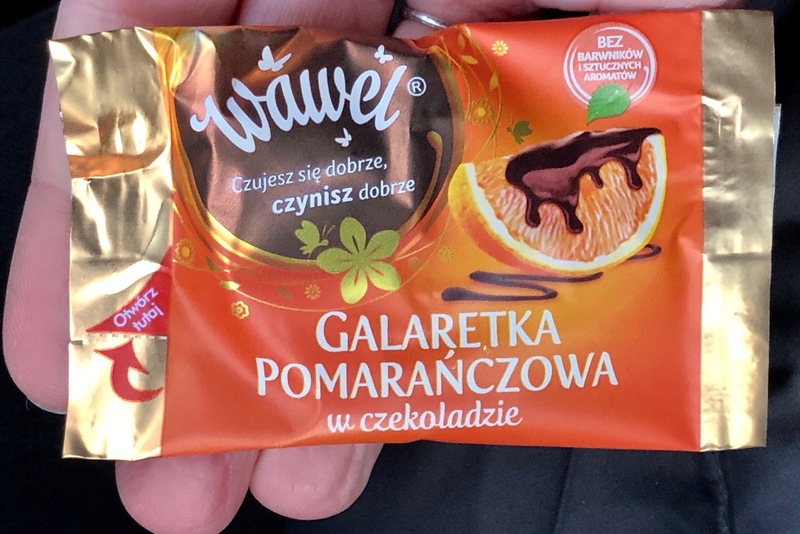 The chocolate coating didn't do much to enhance the orange in my opinion, but I guess something has to contain the sticky jelly. I also like that one can purchase these individually. 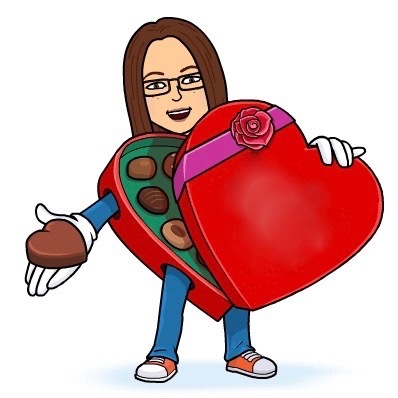 You get a really great sweet but don't feel compelled to continue consumption to an unhealthy degree. 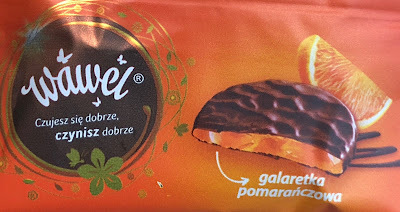 If you can find these Polish sweets in your neighborhood, they're certainly worth a taste! I am very impressed with your ability to copy all those letters!!! 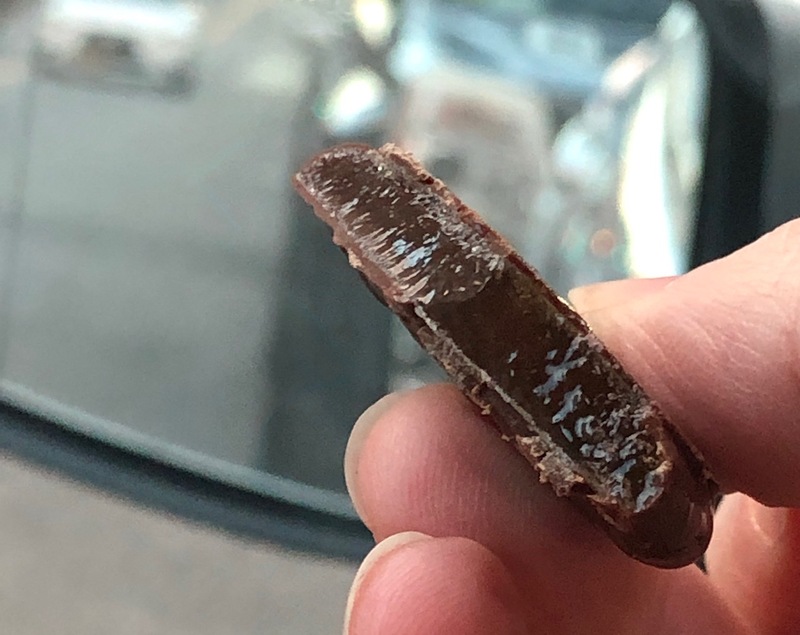 I LOVE that sort of candy, by the way, but alas.